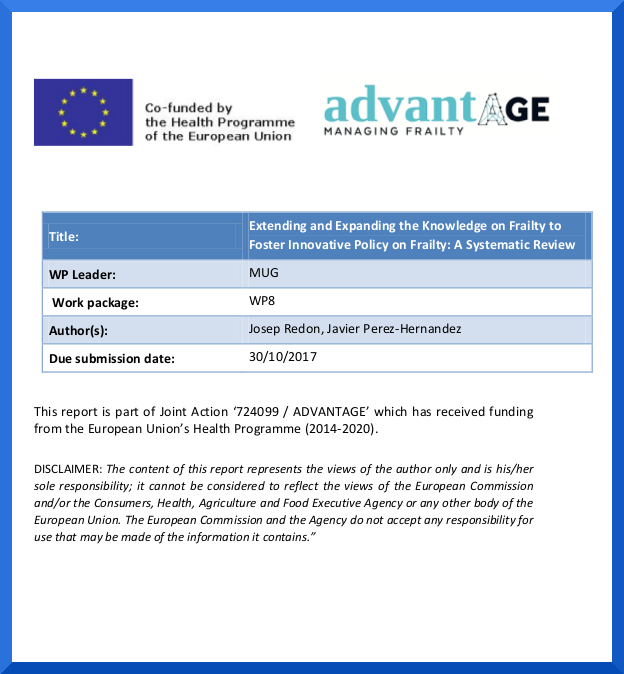 In this report the evidence of models for education and training of professionals involved in the Frailty Prevention Approach is evaluated. Despite the large number of research programs funded by public and private agencies, thousands of publications and a myriad of articles in lay press, many relevant issues are still unsolved in the field of frailty. WP8.2 identifies what are the relevant issues in which research may contribute to generate advances. 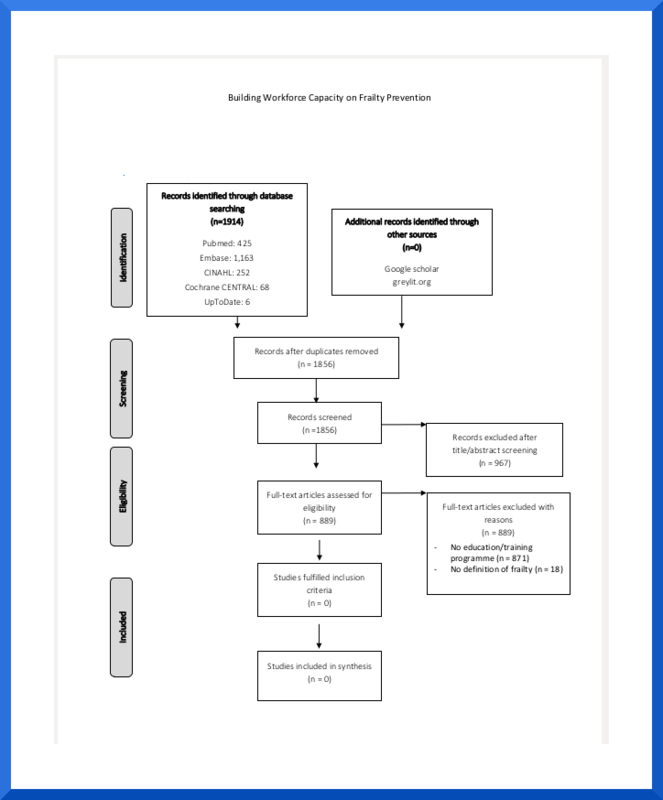 This document summarizes those identified in a systematic review of the literature, European Union (EU)-funded research projects and inputs from the different WPs. 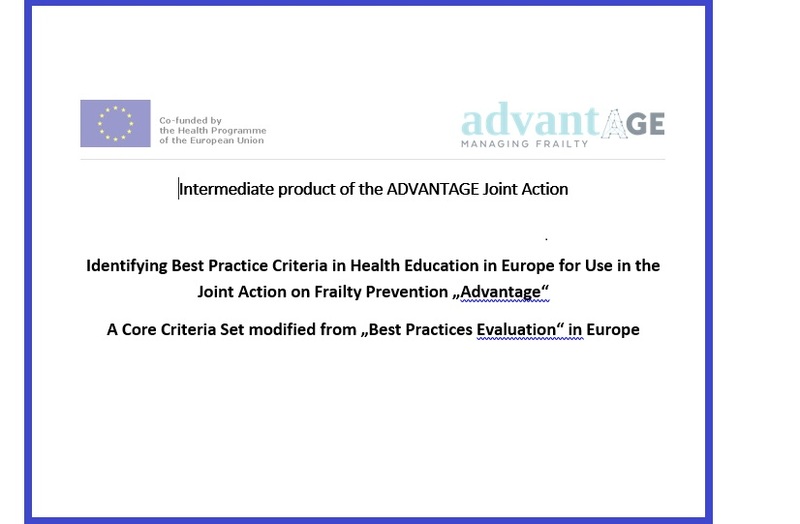 Internediate Product: Identifying Best Practice Criteria in Health Education in Europe for Use in the Joint Action on Frailty Prevention „Advantage“ - A Core Criteria Set modified from „Best Practices Evaluation“ in Europe.